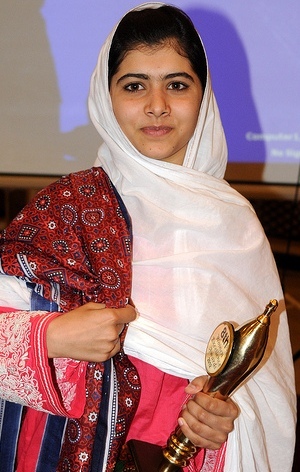 Karachi: A Pakistani schoolgirl named Malala Yousafzai was short list for the Noble Peace Prize among 209 nominees. Earlier, Fifteen year old Malala Yousafzai get victim of Taliban when she was shot by unidentified gunman of Taliban on 9th October but she still alive and elected for Noble Peace Prize 2013. According to media reports, the Noble institute announced a record 259 nominations on Monday. Candidates list for this year includes 209 individuals and 50 organizations. The people who are eligible to nominate candidates, including former laureates, members of parliament, university professors and members of certain international organization, The 2013 laureate will be announced in early October. Malala worked for the sake of women and girls rights and education. Malala is a real fighter and shining stars for all the youth of Pakistan.